Walsworth’s Adviser Academy is approaching quickly. This three-day workshop in Kansas City offers professional development, inspiration and the chance to collaborate with fellow advisers. The workshop brings together yearbook advisers and experts from all over the United States. Sabrina Schmitz, CJE, will be an instructor, with focus on advisers who are just starting to find their way. Schmitz will go over the obvious parts of yearbook, like creating a cover and spread design. 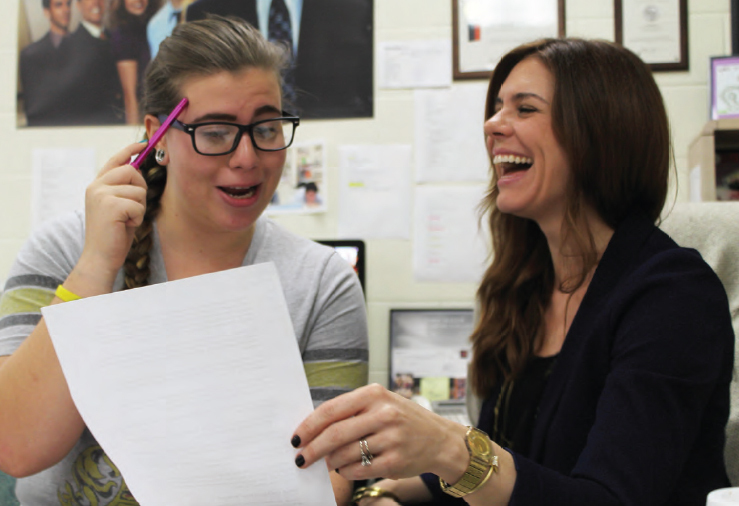 But she will also teach new advisers the important yet easily overlooked aspects of yearbook, such as staff organization and management, staff rules and responsibilities, photo days, coverage, distribution, marketing, and book and ad sales. Schmitz said Adviser Academy offers something most advisers don’t get at their school – the chance to be surrounded by people who also do yearbook every day. Yearbook is very specialized, so professional development opportunities are rare for advisers wanting to learn how to do their advising job better. Presentations will be made available online, but Schmitz said you’ll gain much more from attending. Schmitz knows what it’s like to be a first-year adviser. She started teaching in 2008 at J.W. Mitchell High School in New Port Richey, Florida, and took over yearbook halfway through that first year. When Schmitz was offered a chance to work at Walsworth, she jumped at the chance to do yearbook full-time, and has been a sales rep for the last three years. She was lucky enough to have a lot of support her first year as an adviser, but knows that’s not the case for everyone. Schmitz knows it’s not easy that first year, and new advisers are dealing with a lot of moving pieces. She wants to help before they begin the school year. Adviser Academy will be held July 10-12, 2017, at the Kansas City Marriott Country Club Plaza, with an optional plant tour or advanced tech training on July 13.